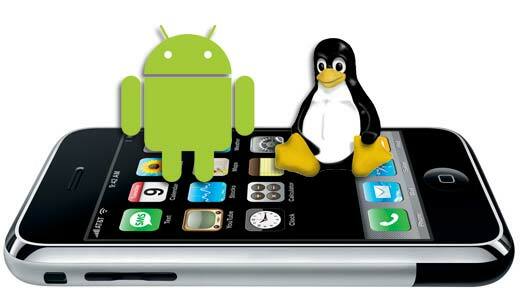 "Google has taken the Linux kernel, and nothing else from a "traditional" Linux system. "Android also solves the problem that the phone manufacturers had been having for many years: a free version of Java and a unified application layer that programmers can write to that will work on all phone platforms that integrate it. Android 的重点就是商业应用，Google采用了一些手法来绕过这问题。他们把驱动程序移到 "userspace"，也就是说，把驱动程序变成在 Linux kernel 上头跑，而不是一起跑的东西，这样就可以避过GPL。然后，在 kernel 这边开个小门，让本来不能直接控制到硬件的 "userspace" 程序也可以碰得到，这样只要把"开个小门"的程序代码公布就行啦。"
"...any drivers written for Android hardware platforms, can not get merged into the main kernel tree because they have dependencies on code that only lives in Google's kernel tree, causing it to fail to build in the kernel.org tree. Because of this, Google has now prevented a large chunk of hardware drivers and platform code from ever getting merged into the main kernel tree. 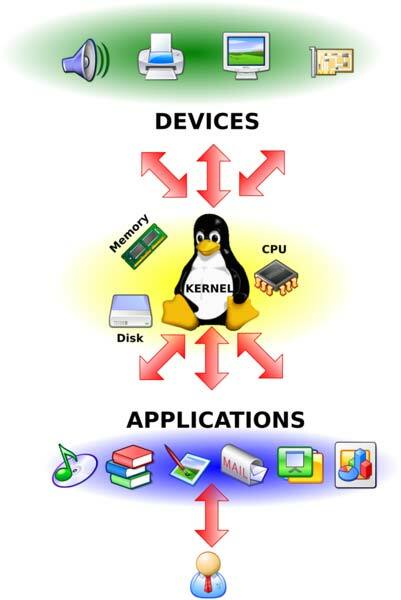 Effectively creating a kernel branch that a number of different vendors are now relying on. "I really don't know. Google shows no sign of working to get their code upstream anymore. I do hold out hope that Google does come around and works to fix their codebase to get it merged upstream to stop the huge blockage that they have now caused in a large number of embedded Linux hardware companies. I've privately offered in the past to help this work get done, and am doing again here publicly. But I need the help of the Google developers to make it happen, without them, nothing can change. btw: 支持 若昔难得 的观点. 开源和商务上的成功没有关系,SUN是最近一个例子. 不同意, 硬件驱动本来就不是 Google 的, Google 没权利将不属於系统本身的东西也开源 (即使部分驱动是 Google 自己写的). 楼主的文章充满了对Open Source这个概念的错误理解和不切实际的幻想。Open Source是一个注册商标，持有人是Open Source Initiative，它授权这个商标给所有它认证符合这10条定义的软件license(www.opensource.org/docs/definition.php). 它和封闭根本不是反义词，它的反义词是一般采用EULA授权的proprietary software.